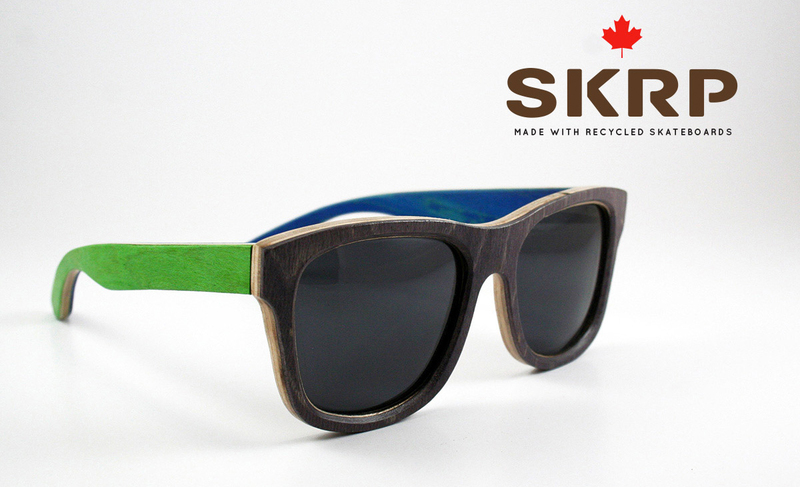 Recycled Skateboard Sunglasses - Origin Story - SKRAP Skateboard Inc. The road to this point has been winding for sure. We’ve ‘technically’ only recently begun creating our recycled skateboard sunglasses here in Ottawa. Let’s take a step back. 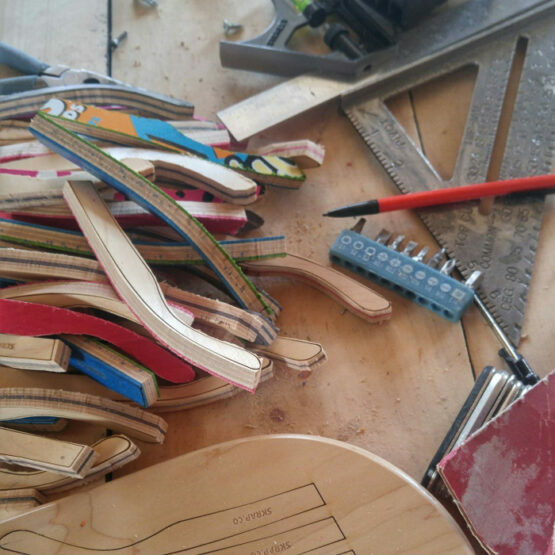 For some of you that have been following our progress from the very beginning you’ll remember that this all started with a grand idea to build an online marketplace (Etsy or eBay style) but specifically for products created from broken and recycled skateboards. Pretty unique and very niche market/idea for sure and this idea had momentum behind it. So much so that I was approached by a Canadian skateboard distribution company to see if it would be possible to collaborate with enough ‘makers’ to create one unique line of recycled skateboard products large enough for distribution across Canada and the USA. Eventually we partnered with a US based team to help keep up with our growing demand for recycled skateboard sunglasses. This was very good timing because in November of 2016 while on vacation with my family in Arizona I made a connection with the team from Earthbound trading company who loved the brand and story and decided to start selling our sunglasses and wallets in their 130+ retail stores in the US! SKRAP was off to the races! Throughout this we’ve always been making all of our other products (wallets, rings, coasters etc) and custom corporate work here in Ottawa. To keep up with this demand we went looking for help and found a small laser engraving shop called Almonte Laser. This turned out to be a great fit and we’ve now been working together for the past 3 years as we’ve both grown in leaps and bounds. Finally as of December 2017 after months of R&D, prototyping and testing we officially started creating our line of sunglasses here in Ottawa fully in house! Throughout this process we’ve made significant upgrades to the process and also to the product that includes, thinner arms/temples, a new more comfortable frame design and finally new hinges. We are super proud of the work we’ve done bringing the full production to Canada. Our next step will now be to spend some time introducing our products to the Canadian market here in our own backyard!